6) Stop selling out of binders and using fill-in contracts – Generally, people want to be treated equally and know that they are paying approximately the same price for a service as everyone else. Fill-in-the-blank contracts make most people feel like they are being ripped rather than becoming part of a gym. The same is true for selling out of binders. If you are a health club that still uses either or both of these methods, move on from the past! Leave little room for wiggle room for negotiations and give your prospects assurance that they are valued the same as the other members at your club. 7) Become a Sales Guru – To do so, you first have to get Guru (don’t worry, it’s free). Guru is Insight’s sales software program and it will aide you in step 6. With Guru’s software, you can visually present a sales menu on a monitor screen for your prospects to choose from. With Guru, you can edit the sales menu with the type of membership deals your club offers. Once they see the menu on screen, they will know that there is virtually no room for negotiation. This visual presents your gym prospect with the power to choose how much they want to pay. My suggestion is to make your “menu” as simple as possible, like In-N-Out. Once they choose which membership they want, the software will take you to a contract screen where information will need to be filled out. Another benefit of becoming a sales Guru, is that with one swipe of the credit card, all vital information needed to charge the membership due is automatically downloaded onto the printable membership contract without any transcription errors. Once the contract is filled out and saved, all information and payment processing will be integrated with the Insight software so there is no need for any further data entry. Thereafter, you are officially deemed an Insight Guru! Check it out in the video below! 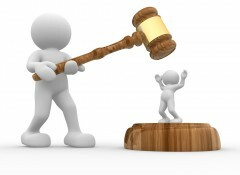 [i] RainToday.com, RainMakerBlog, 7 Ways to deal with Price Objections by Erica Stritch, on the Internet at http://www.raintoday.com/blog/7-ways-to-deal-with-price-objections/ (last visited on June 5, 2013). [iii] Hunt Big Sales, Tom Searcy, Price is No Object, on the internet at http://huntingbigsales.com/price-is-no-object/ (visited June 4, 2013). [iv] RainToday.com, RainMakerBlog, 7 Ways to deal with Price Objections by Erica Stritch, on the Internet at http://www.raintoday.com/blog/7-ways-to-deal-with-price-objections/ (last visited on June 5, 2013). [v] Hunt Big Sales, Tom Searcy, Price is No Object, on the internet at http://huntingbigsales.com/price-is-no-object/ (visited June 4, 2013).